) by 2019, Chief Executive Marco Morelli told daily Corriere della Sera. Last year, the Commission and Italy reached a pact on a state bailout for Monte dei Paschi that included heavy cost cuts, losses for some investors and a pay cap for executives. 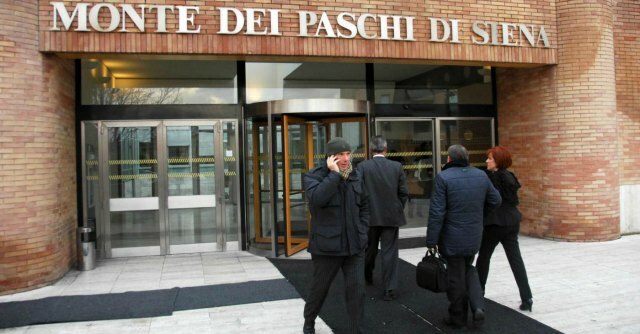 Monte dei Paschi, the country’s fourth largest bank, is now 68 percent owned by the government and under the bailout deal, Italy is due to exit the troubled lender in 2021 at the latest. “We are on a very narrow path and we cannot wander off,” Morelli said in an interview published on Monday. Morelli said the lender was “on the right track” and was pressing ahead with its industrial plan, respecting the commitments that both Italy and the bank had negotiated on a European level. This month, Monte dei Paschi reported better than expected first-quarter net profit of 188 million euros on reduced loan losses and cost-cutting. But Morelli warned that it would take time for the bank to fully recover, and that a “solution to the problem” would certainly not be reached in the upcoming quarters. “(The bank needs) some tranquillity and serenity to do what we have in mind, as part of our path, on the same conditions of our competitors,” Morelli added. Shares in Monte dei Paschi fell sharply on Thursday after it emerged that a policy agenda drawn up by the far-right League and the 5-Star Movement for a potential government would reassess the lender’s mission to serve the community.